This box body trailer with a load length of 2,4-3m is ideally suitable to accommodate large objects that do not fit into a luggage trailer. With a carrying capacity of 750kg it can be used for household and office furniture removal, office equipment, boxes, bicycles, doll houses, trees, plants, dog kennels, spitbraai catering equipment, etc. Additional features: Box shape with mesh sides. 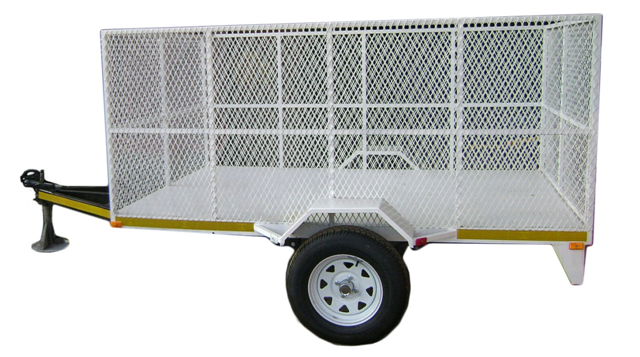 Removable gate at back for easy access and loading, single axle without brakes. Contact us today to make a booking to hire your box body trailer.